Floating bar optins give you maximum visibility for your marketing campaigns without being super annoying to your readers. Double win! In this guide, we’ll show you some highly effective floating bar hacks to boost your conversions with these awesome, hard-working campaigns even more. Oftentimes your visitors will put off making a purchase, thinking they’ll go back later. But once they leave your site, most visitors never return. Creating a sense of urgency is one of the smartest things you can do to persuade them to make an immediate purchase. Using the countdown timer element for your campaigns is an easy way to create a sense of urgency for your visitors. Setting a countdown timer is highly effective for promoting exclusive limited-time deals on your site. 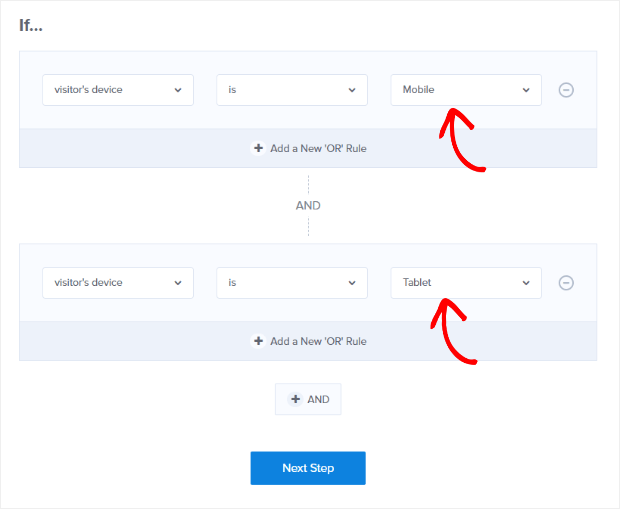 OptinMonster gives you two different modes to set a timer for your optins: static and dynamic. The Static Timer looks the same to everyone who visits your site. You set the deadline, which is universal to every website visitor. It’s ideal for promoting a seasonal offer or limited-time sale on your site. On the other hand, the Dynamic Timer is customized for each visitor. The dynamic timer will begin the countdown as soon as the visitor hits the page. That means that each visitor will see a different countdown. For more details on how to set these up with OptinMonster, you can learn how to create a countdown timer optin. 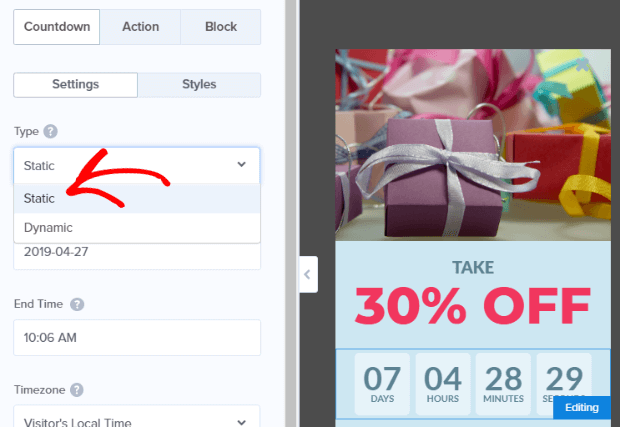 You don’t always have to choose the countdown timer template for promoting seasonal offers. With OptinMonster’s Display Rule, you can trigger a specific floating bar campaign based on the visitors’ date or time. For example, you can take a look at a seasonal list building campaign below. There’s a reason that our first two floating bar hacks were all about urgency and timing. They work. People respond to the timeliness of marketing campaigns. Show them things they want and tell them they need to act quickly or they won’t get them. Not every customer will be loyal to your brand. In fact, most first-time customers are in the process of filling an immediate need and are not interested in a long-term, engaging relationship with your brand. Enticing them to connect with you on social media can help to make them more engaged and more loyal to your brand. In fact, on average, loyal customers are worth up to 10 times as much as their first purchase. If you haven’t started focusing on increasing customer loyalty, you’re leaving money on the table. OptinMonster allows you to easily vary your call to actions, so you don’t always have to ask them to make a purchase or sign up to your list. In fact, showing the same optin form over and over again makes no sense especially if a visitor is already subscribed to your newsletter. With OptinMonster’s Canvas Technology, you can create a customized Facebook optin so that your website visitors can like your Facebook page right from your floating bar. In Display Rules, you can set to show this campaign only if the user has subscribed to your newsletter. Similarly, you can also promote your mobile apps using a floating bar. You may create a floating bar targeting your mobile visitors using our device based targeting feature. The problem with responsive popup templates is that it shows the same message across all devices. The floating bars created based on our device based targeting ensures the best user experience to your visitors and increase the engagement rate. A content upgrade is a lead magnet (or opt-in bribe) created specifically for readers of that particular blog post or article. It is a much more targeted way to turn your visitors into leads because it offers an exact resource to your visitors that they are looking for at the moment. If done right, you can increase conversions by 845% with content upgrades. You can read more about content upgrades here. The problem with typical content upgrades is that in order to trigger the popup, your visitor has to click on a link, which is usually placed somewhere inside the body of your article. But what if a user skips that link and decided to scroll down the page? Chances are you won’t get a second chance to convert that user. 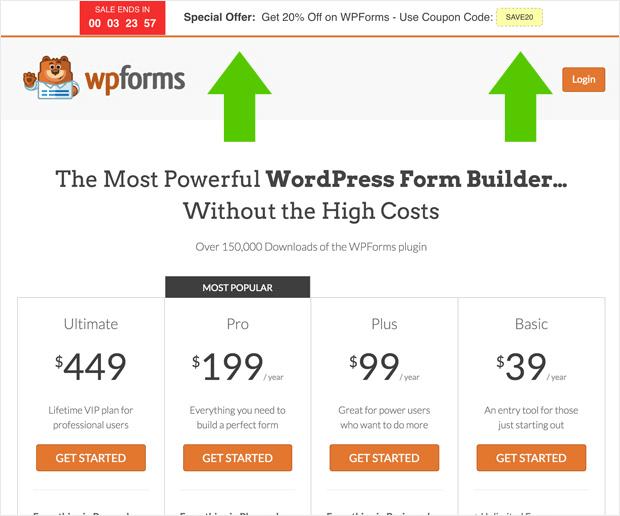 You can tackle this issue by promoting the same content upgrade offer using a floating bar. This way, you can provide maximum visibility to your content upgrade offer because it sticks to your users’ screen and scrolls along with them. Are you using a long sales page to sell a product? If you follow the best conversion practices on your landing page, your calls to action are probably in the above the fold area. That means when a user scroll downs your page after a certain amount, your call to actions will disappear from the view. In fact, displaying a CTA above the fold is not always recommended. And in many cases, it can even adversely affect your conversion rate. If you always want to show your CTA, you can use a floating bar on your landing page. In Display Rules, you can set to show floating bar only after the user has scrolled down X amount. You can make sure that the floating bar is shown after they scroll below your main CTA. Regardless of what industry you’re in, personalization can make a positive impact on your business by increasing conversions. Your website visitors are unique with different interests and behavior. One of the best ways to boost engagement rate of your marketing campaigns is to personalize them by addressing the need and behavior of your visitors. With OptinMonster’s Smart Tags, you can customize the copy of your floating bars and other popups based on any external variable that you choose. The Smart Tags API replaces merge tags in your optin campaign with matching variable identifiers on your site. When a match is found, the text is replaced. You can tailor the text inside your campaigns to match your email automation sequences, pay-per-click (PPC) ads, and more. You can personalize your campaigns based on user location, gender, age, and basically any other data that you have. Smart Tags is available to OptinMonster customers on the Pro Plan or above. For more details, you can refer to our documentation on using Smart Tags for personalized marketing. There are many possibilities to tremendously boost your conversion rate with floating bars. We’ve highlighted only a few possibilities with the floating bar hacks shown here. You can check out our post on creative hello bar examples for more inspiration. 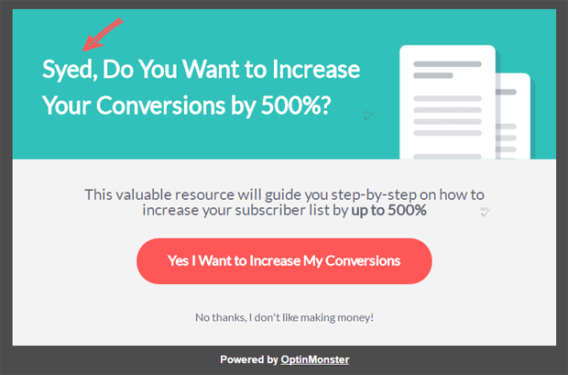 If you liked this article, you’ll also enjoy our guide on unique popups you can make with OptinMonster Canvas to boost engagement.